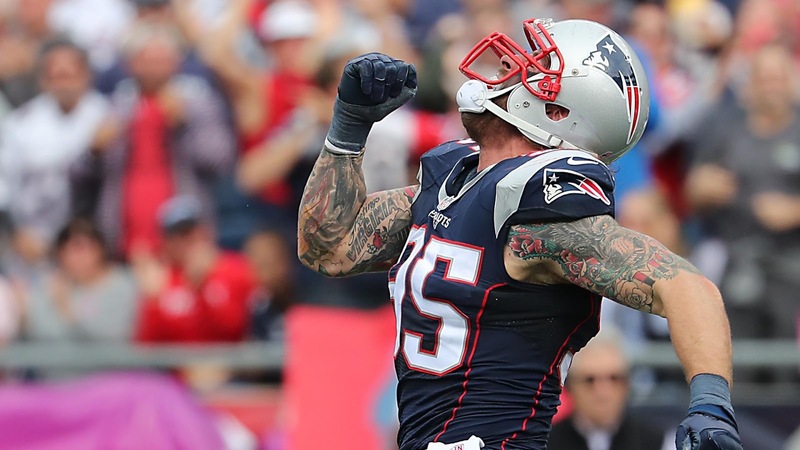 Over his nine seasons in the National Football League, defensive end Chris Long has been through a lot. But what he hasn’t done is experience a playoff game. The 31-year-old veteran from Santa Monica, CA spent his first eight years in the league with the St. Louis Rams. On Saturday night, Long will be experiencing his first career playoff game, now as a New England Patriot. Long signed a one-year contract with the Patriots in the offseason that has resulted in strong pick up for the team. The defensive end has played in all 16 games this season, seeing 65 percent of the team’s defensive snaps. Long totaled 35 tackles and four sacks on the regular season. His strong and dependable performance has been noticed throughout the organization. Long isn’t the only one who is playing past the regular season for the first time. In fact, out of the 53 players on the Patriots’ roster, 19 have never been to the playoffs. Among this list are Dion Lewis, Chris Hogan, Trey Flowers, Matt Lengel and many more, who will all get their first taste at the playoffs on Saturday night. Follow Megan on Twitter: @carnahanmegan.